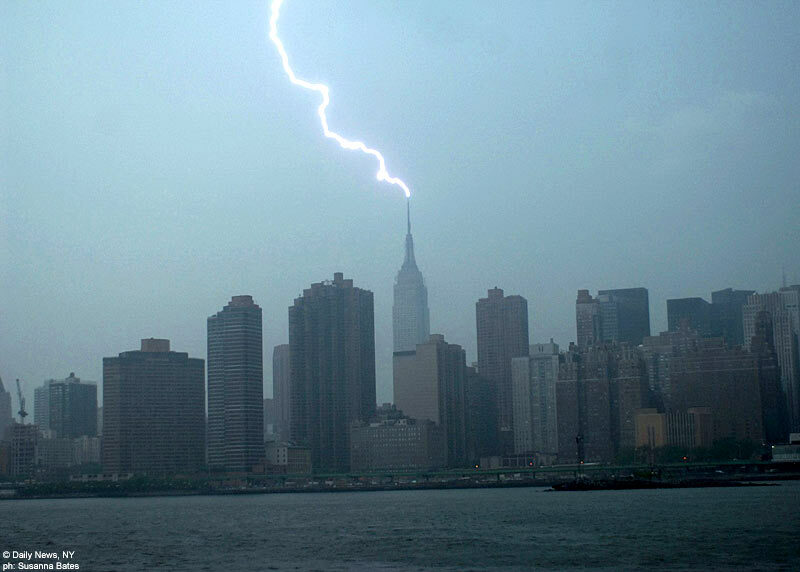 If you are working on high voltage equipment (like power lines), you need to be sure that you are protected from shock hazards that could arise from an unexpected fault. Grounding makes sure that current will be directed along the ground or neutral wire in a system during a fault, but there is still the risk that if you touch the live wires, the current could travel through you into the ground instead of through the neutral line. How can we stop the current from flowing in to your body at all? How can we make sure that a lineman is safe even if he accidentally touches the power lines? We know that electrons need a voltage to flow: without a difference in electric potential energy between two points, there is no voltage, and therefore no current. Grounding can be used to create an “equipotential zone”. What is an Equipotential Zone? This matches all the objects in the zone to the same potential, so the voltage between any two objects in the equipotential zone is zero. Let me take a step back and explain. The reason this works is because in mains electric systems (AC power being delivered from the power plant to your home, or office, or warehouse, etc. ), they use the ground in the earth as their “reference voltage”. So all voltages are calculated considering the ground as “zero volts”. What this means is that when you hear people talking about 120 volts in your house, they’re saying that the difference in voltage between the wires in your house and the ground is 120 volts. Normally, if your system is balanced 3 phase power (like properly operating electricity in your home), there will never be any current flowing into your neutral wire: the potential of the neutral is the same as everywhere else. This changes if there is a fault. A fault is just a low resistance (meaning high current by Ohm’s Law) path for the electricity to travel back to its source (since the circuit has to be complete for current to flow). If there is a fault somewhere in your system from a main line to some metal surface not designed to carry current, you now have a path through the ground for the electricity to go to. This means that if, for example, you touch a metal door frame, electric current could go through the door frame, to you, to the ground. An equipotential zone is created by grounding all of the metallic surfaces that are not part of your electric circuit. For example, in buildings, in addition to having the ground wire connected to the earth, the grounding wire is also connected to all of the structural metal, all of the metal water pipes, all of the metal everywhere. So, if there’s a fault, it’s not as big of an issue because instead of raising the doorframe voltage relative to the ground, you’ve raised the voltage of the whole building, including the ground, to match the system voltage. You’ve experienced this type of grounding, called “bonding earthing conductors” if you’ve ever had to jumpstart a car: the negative jumper cable on the side of the dead car is always connected to the metal of the car frame instead of the car battery itself, right? 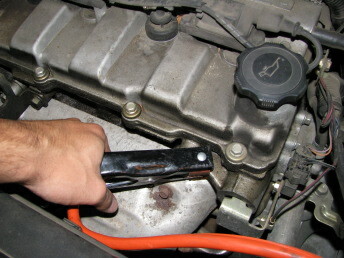 The black (negative) cable connected to the dead car is always ground somewhere on the engine itself, not the battery terminal. What if the neutral pathway to ground is lost? By now you’re probably wondering, what happens if the pathway to ground is lost, or broken? With your neutral wire no longer directing the current to the ground, you would normally now be in danger of the current traveling through you. However, you are still in an equipotential zone: now that everything around you has been brought to the same voltage as the power lines, there will not be a voltage difference between any two points that you can possibly touch. No voltage difference means no current, and not current means no danger! Of course, this is why bonding earthing conductors are so useful: if all of the metal in a building is connected electrically, including water pipes and structural steel which extend into the ground, then your whole building has essentially become a giant ground rod and you actually never lose your path to ground! Have you checked out our new weekly newsletter? What do you think? We send it out every week, and only include our best thoughts and sometimes a link or two to some of the more interesting articles we read that week.